Awin is proud to announce IT Cosmetics' affiliate program is now open in Canada. Part of the L'Oréal Group, IT Cosmetics® is a high-performance, skin-loving, problem-solutions makeup brand that celebrates your most beautiful you. IT Cosmetics works with leading plastic surgeons to infuse cutting edge anti-aging technology into truly innovative, high-performance color cosmetics that solve problems and make women look and feel their most beautiful. 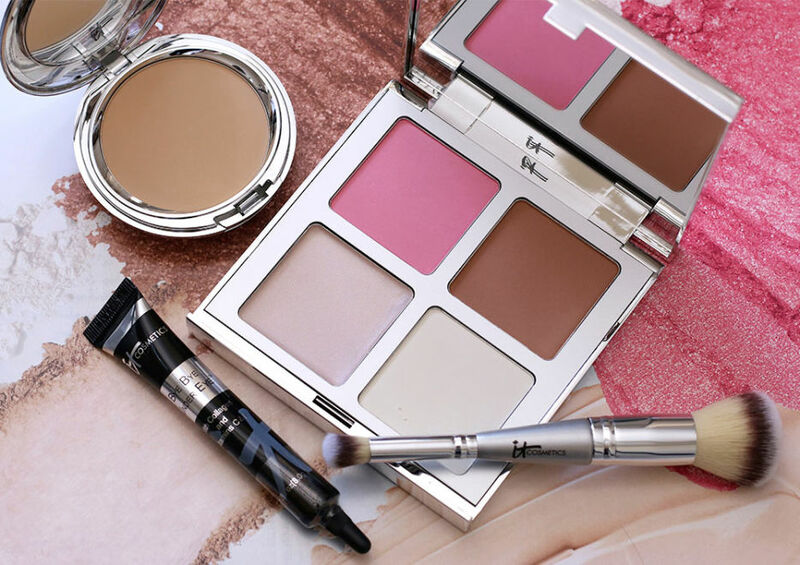 A favorite line of both celebrities and beauty editors, this cruelty-free cosmetics company has several award-winning products and has been featured in hundreds of leading magazines and television shows. Even more exciting, IT Cosmetics has partnered with cancer research non-profit Look Good, Feel Better®. For every Brow Power® pencil sold, one is donated to the LGFB program to help women face the effects of cancer with confidence. Why partner with IT Cosmetics? Affiliates joined to the IT Cosmetics Canada program can receive a 10% commission (percentage of revenue) from sales made within our 30-day cookie window that result from featuring links to IT Cosmetics products and content across their brand: blog/website, social media, newsletters, etc. For influencers joined to the program, they can earn 20% commission on approved transactions, as well as $2 for any sale they influenced but did not receive 'last click.' The IT Cosmetics Canada program is also mobile optimized and cross-device enabled, so affiliates never miss a sale as our tracking continues to work even if the consumer is using multiple devices. As an added bonus, IT Cosmetics uses publisher-specific visuals in external newsletters to aid in generating traffic to individual affiliate sites. The IT Cosmetics Canada affiliate program is looking for high-quality mediums that will drive traffic for their brand. Because of this, not all sites are eligible for their affiliate program and they are not able to accept all applications. In some cases, a site may be eligible, but needs a bit of help to meet IT Cosmetics' standards. In these cases, IT Cosmetics will do their best to provide guidance. To find out more about the Canadian program, including current commission rates and rules for program eligibility, please click here. Already an Awin publisher in Canada? Not currently an affiliate partner but think your brand is a good fit for IT Cosmetics? If so, apply now to the program. Questions? Please contact IT Cosmetics account manager Blakeley.